With its defiant offset design and penchant for attracting some of the world's most daring guitarists, the Fender Mustang changed rock 'n' roll as we know it. Today, with a workingman's price tag and American-made pedigree, the American Performer Mustang brings the best of yesterday's features to Mustang lovers everywhere. The American Performer Mustang's price-defying features include a supremely playable neck and fingerboard, jumbo frets, Yosemite pickups, and Fender's innovative Greasebucket tone control. Better yet, it's made right here in the USA, in Fender's state-of-the-art Corona, California factory. 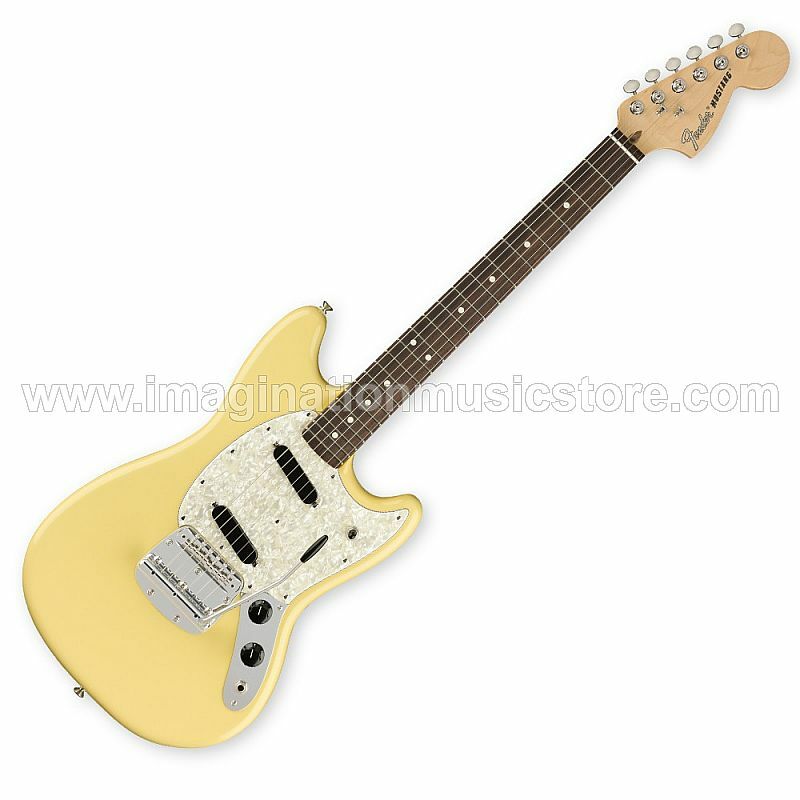 The Fender Mustang is one of the most identifiable and sought-after offset electric guitar body styles in the world. Its compact dimensions are not just full of character, but also extremely comfortable for gigging musicians. The American Performer Mustang carries with it the standard Mustang 24" scale length for long stretches and comfortable chording and leading. The Mustang's reduced scale length and offset single-coils gave it a tone all its own. Fender captures this beautifully in the American Performer Mustang guitar. It's outfitted with a pair of Yosemite Alnico V pickups, which are vintage kissed and tonally balanced with higher output to better drive amps and pedals. Fender has fitted their American Performer Mustang with the Greasebucket tone control, which rolls off highs without adding bass or reducing your volume. This gives you explicit control over your tone onstage without your having to compensate for volume loss.